The Pan-Eurasian Experiment (PEEX) is a multi-disciplinary, multi-scale and multi-component research infrastructure and capacity building programme. 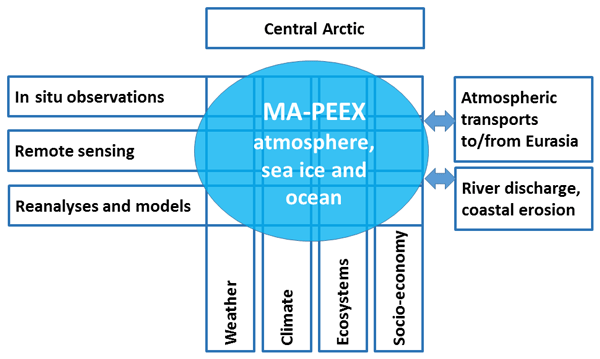 The PEEX originated from a bottom-up approach by the science community and is aimed at resolving the major uncertainties in Earth system science and global sustainability issues concerning the Arctic and boreal Pan-Eurasian regions as well as China. The PEEX solves interlinked global, grand challenges influencing human well-being and societies in northern Eurasia and China, by establishing and maintaining long-term, coherent and coordinated research activities as well as continuous, comprehensive research and educational infrastructures. The scientific issues covered by PEEX include climate change, air quality, biodiversity loss, chemicalisation, food supply, fresh water and the use of natural resources through mining, industry, energy production and transport. Our approach is integrative and interdisciplinary, recognizing the important role of the Arctic and boreal ecosystems in the Earth system. We consider the budget of turbulent kinetic energy (TKE) in stably stratified flows. TKE is generated by velocity shear, then partially converted to potential energy, but basically cascades towards very small eddies and dissipates into heat. The TKE dissipation rate is vital for comprehending and modelling turbulent flows in geophysics, astrophysics, and engineering. Until now its dependence on static stability remained unclear. We define it theoretically and validate against experimental data. Analysis of long-term observations for atmospheric mercury in the Russian Arctic, considering inter-annual, seasonal and monthly variabilities is in focus. Linkage of elevated concentrations with volcanic eruptions in Iceland is explored. Results showed that active volcanoes can play a role of sources for increased mercury levels in the Northern Hemisphere due to long-range atmospheric transport of volcanic clouds towards the Arctic. This study reports on the urban heat island (UHI) in a typical Arctic city in winter. Using in situ observations, remote sensing data and modeling, we show that the urban temperature anomaly reaches up to 11 K with a mean value of 1.9 K. At least 50 % of this anomaly is caused by the UHI effect, driven mostly by heating. The rest is created by natural microclimatic variability over the hilly terrain. This is a strong argument in support of energy efficiency measures in the Arctic cities. We found a positive particle matter-mixing layer height feedback at three observation platforms at 325-meter Beijing meteorology tower, which is characterized by a shallower mixing layer height and a higher particle matter concentration. Measurements of solar radiation, aerosol chemical composition, meteorology parameters, trace gases and turbulent kinetic energy (TKE) could explain the feedback mechanism to some extent and we suggest this feedback should be considered in air quality models. The development of eddy-covariance measurements of ecosystem CO2 fluxes began a new era in the field studies of photosynthesis. The interpretation of the very variable CO2 fluxes in evergreen forests has been problematic especially in seasonal transition times. We apply two theoretical needle-level equations and show they can predict photosynthetic CO2 flux between the atmosphere and Scots pine forests. This has strong implications for the interpretation of the global change and boreal forests. In this study we simulate the HOM concentrations and discuss their roles in NPF at a remote boreal forest site in Finland and a suburban site in eastern China. We found that sulfuric acid and HOM organonitrate concentrations in the gas phase are significantly higher but other HOM monomers and dimers from monoterpene oxidation are lower in eastern China. This study highlights the need for molecular-scale measurements in improving the understanding of NPF mechanisms in polluted areas. 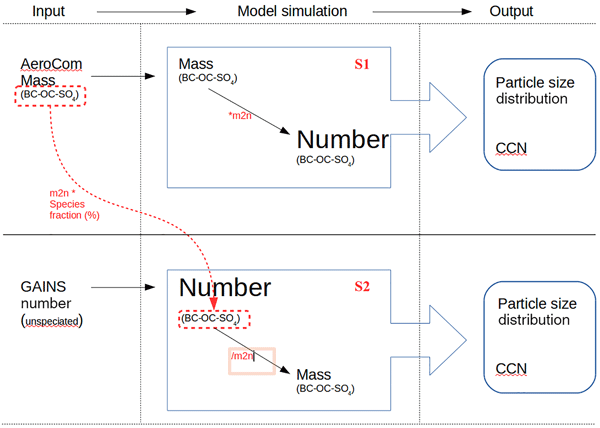 Our project describes the feasibility of implementing particle number emissions taken from the GAINS model in global climate modeling through a simulation with the ECHAM-HAM global climate model. The results from the simulations have important implications regarding modeled particle number concentrations and future climate effects. Our findings represent an important starting point for further simulations concerning climate effects derived from anthropogenic particle emissions on a global scale. An optimized segregation method is applied to estimate light absorption of brown carbon (BrC) in Nanjing. This study highlights the considerable contribution of BrC to light absorption in the Yangtze River Delta region, China, and depicts its long-term profile in this region for the first time. Lagrangian modeling and the chemical signature observed at the site suggested that open biomass burning and residential emissions are the dominant sources influencing BrC in the two highest BrC seasons. 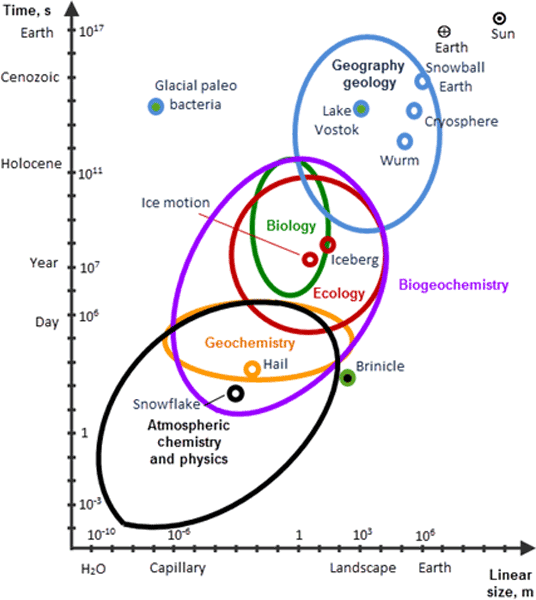 The cryosphere of the Earth overlaps with the atmosphere, hydrosphere and lithosphere over vast areas with temperatures below zero C and pronounced H2O phase changes. 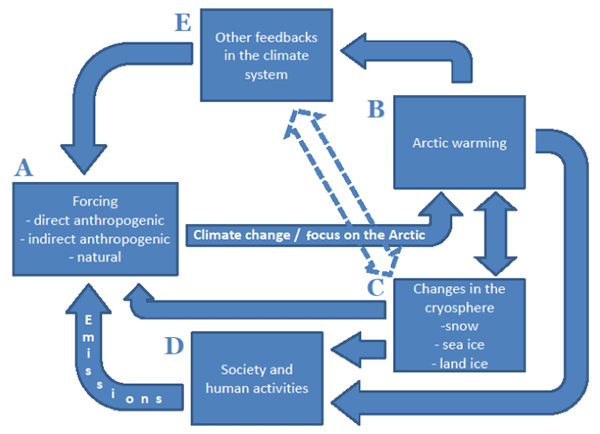 The cryosphere plays the role of a global thermostat; however, the processes related to the cryosphere attract insufficient attention from research communities. We call attention to crucial importance of cryogenic anomalies, which make the Earth atmosphere and the entire Earth system unique. Aerosol optical properties (AOPs) were measured at SORPES, a regional background station in Nanjing, China from June 2013 to May 2015. The aerosol was highly scattering. The single-scattering albedo in Nanjing appears to be slightly higher than at several other sites. The data do not suggest any significant contribution to absorption by brown carbon. The sources of high values are mainly in eastern China. During pollution episodes, pollutant concentrations increased gradually but decreased fast. Highly time and chemically resolved submicron aerosol properties were characterized online for the first time in a high-altitude site (Qomolangma station, 4276 m a.s.l.) in the northern Himalayas by using the Aerodyne HR-ToF-AMS. Biomass burning plumes were frequently observed and the dynamic processes (emissions, transport, and chemical processing) were characterized. The source and chemical composition of organic aerosol were further elucidated using positive matrix factorization analysis. Emissions of volatile organic compounds (VOCs) have impact to air quality, human health and climate. We investigated the development of VOC exchange in a boreal forest between April and June 2013. VOC exchange and diversity increased towards summer, but over 75 % of the biogenic net exchange was driven by methanol, monoterpenes and acetone only. The boreal forest emitted less than 0.2 % carbon in form of VOCs in relation to the carbon uptake. In this study we used the NanoMap method by applying back trajectories and particle number size distribution in different rural sites in China to evaluate the spatial distribution of NPF events and their occurrence probability. 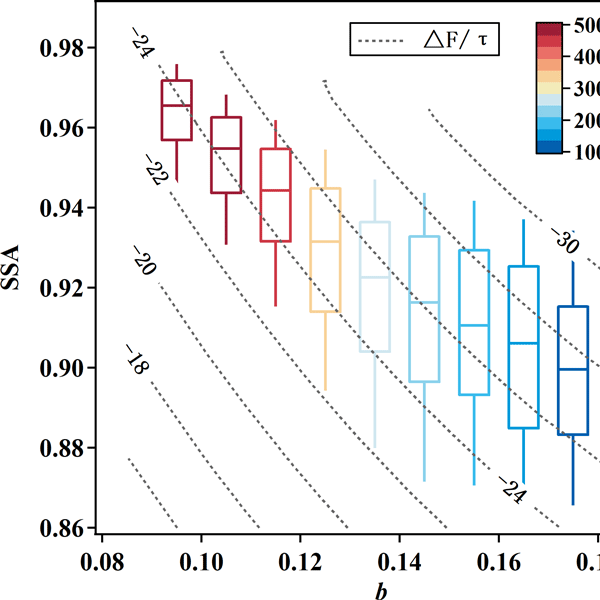 We found difference in the horizontal spatial distribution of new particle source areas was connected to typical meteorological conditions. The horizontal extent of NPF reached to larger than 500 km at two sites, favoured by the fast transport of northwesterly air masses. 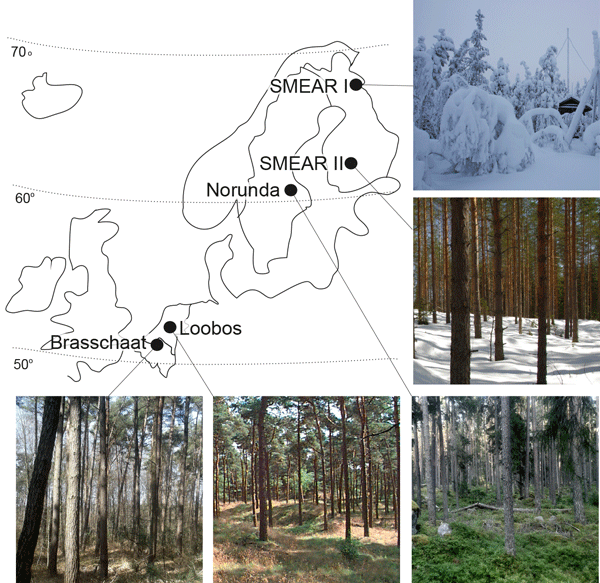 We analysed a 20-year-long dataset collected in a Finnish boreal forest at SMEAR II station to investigate the frequency and strength of ozone depletion events. We could identify a number of ozone depletion events that lasted for more than 3 h, mainly in the autumn and winter months. Their occurrence was likely related to the formation of a low mixing layer under the conditions of low temperatures, low wind speeds, high relative humidities and limited intensity of solar radiation. Extrapolation of the particle formation rates from one measured larger size (e.g., 7 nm) to smaller sizes (e.g., 3 nm) based on simplified growth-scavenging dynamics works fairly well to estimate mean daily formation rates, but it fails to predict the time evolution of the particle population. 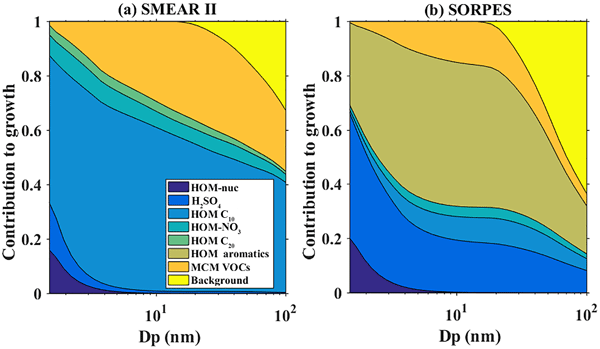 This points to the challenges in predicting atmospheric nucleation rates for locations where the particle growth and loss rates are size- and time-dependent. The VOC emission inventory has large uncertainties. An updated VOC emission inventory of vehicles in China was developed based on a set of state-of-the-art methods and big data. Exhausts and evaporation were taken into account. Our results narrowed the gap between inventories and the real emissions. Detailed speciation reveals the chemical characteristics of emissions, which has the potential to improve the understanding of atmospheric chemical processes in polluted regions. Boreal Siberia is a unique region with severe wildfire activity which is little studied today. We employ unique ground-based observations of major biomass burning products obtained during TRanscontinental Observations Into the Chemistry of the Atmosphere (TROICA) expedition along the Trans-Siberian Railway to provide information about chemical composition of forest fire plumes in Siberia. The results may be used in studies related to climate change and regional air quality. Effective and efficient control of air pollution relies upon an understanding of the pollution sources. We conduct an interdisciplinary study and find that 33 % of China’s PM2.5-related premature mortality in 2010 were caused by production emission in other regions; 56 % of the mortality was related to consumption in other regions. Multilateral and multi-stage cooperation under a regional sustainable development framework is in urgent need to mitigate air pollution and related health impacts. 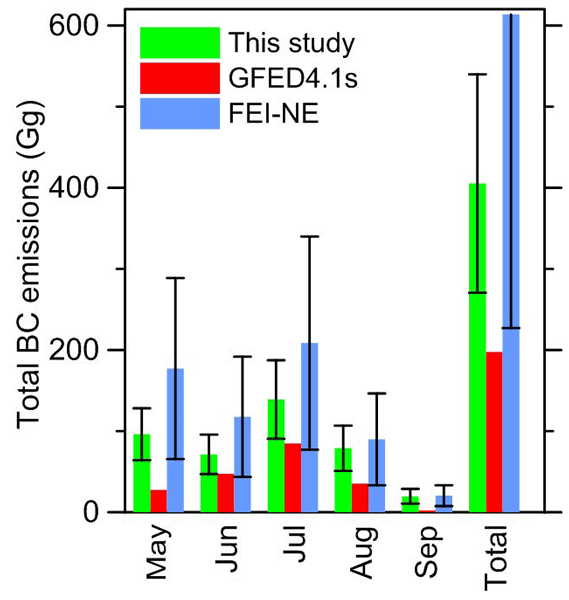 As black carbon (BC) aerosols play an important role in the climate and environment, the size distribution of refractory BC (rBC) was investigated. On this basis, the source of rBC was further analyzed. The local traffic exhausts contributed greatly to the rBC in urban areas. However, its contribution decreased significantly in the polluted period compared to the clean period, implying the increasing contribution of other sources, e.g., coal combustion or biomass burning, in the polluted period. In this publication we used a number of very high (10 m) resolution simulations in order to assess the circulation in a coastal mountain city under high-air-pollution conditions. 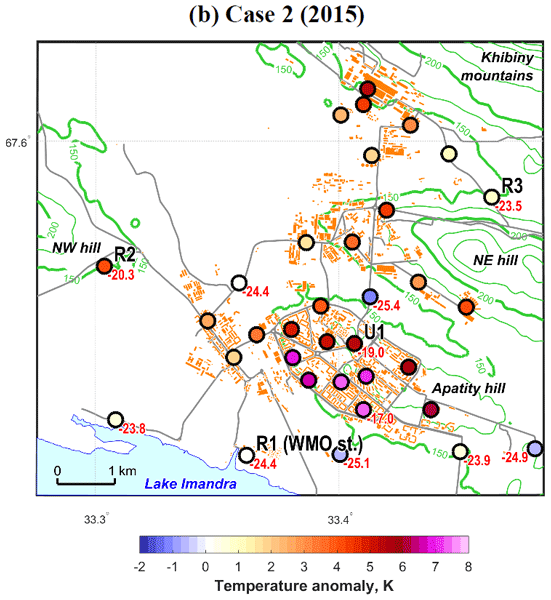 We found that forcings of the valley circulation through local surface inhomogeneities can have a distinct impact on the pollution distribution in the urban area. The work serves as a proof of concept for the applied high-resolution simulations to assess pollution conditions in the urban area under the given conditions. We studied new particle formation under clear-sky conditions in the boreal forest in southern Finland. We compared varying conditions between new particle events and nonevents. We then formulated a threshold value that separates new particle events from nonevents and reached a probability distribution for the frequency of new particle formation. This study serves as the basis for scientists aiming to improve their understanding of new particle formation. In this paper, we analyse surface levels of benzene, toluene, non-methane hydrocarbons (NMHCs), CO, O3, SO2, NO, NO2 and meteorology measured on a mobile laboratory along the Trans-Siberian Railway from Moscow to Vladivostok in summer 2008. The main sources of benzene and toluene along the railway are revealed. The total contribution of benzene and toluene to photochemical ozone production along the Trans-Siberian Railway is determined and compared to the most abundant organic VOC – isoprene. We present spring and summer VOC emission rate measurements from Norway spruce using an in situ gas chromatograph. Monoterpene and C4–C10 aldehyde emission rates reached maxima in July. SQT emissions increased at the end of July and in August SQT were the most abundant group. The MT emission pattern varied a lot from tree to tree and therefore emission fluxes on canopy level should be conducted for more representative measurements. However, leaf level measurements produce more reliable SQT data. Mass spectrometric measurements commonly yield data on hundreds of variables over thousands of points in time. Refining and synthesising this “raw” data into chemical information necessitates the use of advanced, statistics-based data analysis techniques. 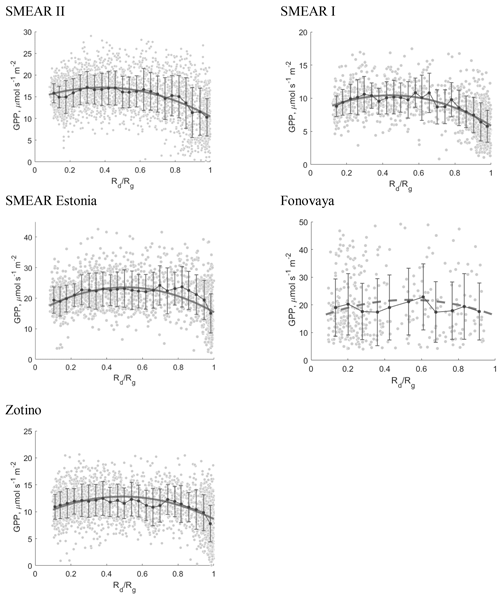 Here we present an example of combining data dimensionality reduction (factorisation) with exploratory classification (clustering) and show that the results complement and broaden our current perspectives on aerosol chemical classification. 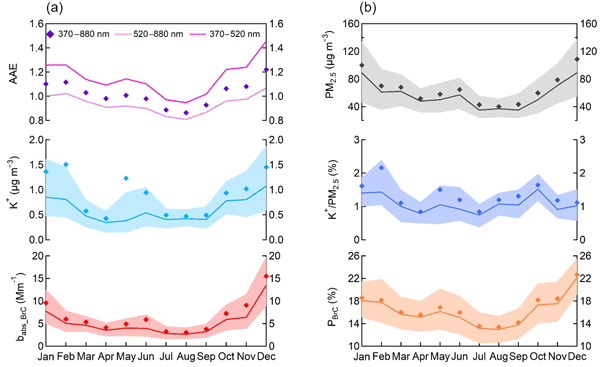 Multi-year observations at a coastal station in Hong Kong reveals that aerosol optical properties showed clear temporal variations according to the dominant sources of aerosols. LPDM modeling and correlation analysis gave similar signals about the freshness of aerosols during different seasons. Fresh emissions of particles from nearby cities and ship exhausts affected light optical properties and particle size in summer and aged air mass in winter caused larger variability of light extinction. This work performed a thorough chemical characterization on the fine particulate matter (PM2.5) samples, collected during July 2015 to April 2016 across four seasons in Changzhou for the first time. In particular, an Aerodyne soot particle aerosol mass spectrometer (SP-AMS) was deployed offline to probe the chemical properties and sources of the water-soluble fraction of organic aerosols (WSOAs). Biologically active ultraviolet (UV) radiation is an important environmental factor, which affect human health and nature. UV radiation has a significant increase with the altitude. 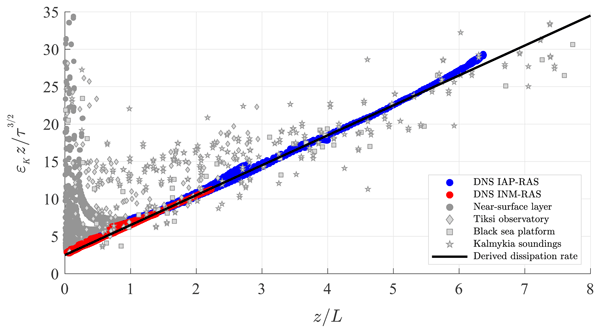 We propose a new method for calculating the altitude UV dependence for different types of biologically active UV radiation. The proposed method was implemented in the on-line UV tool (http://momsu.ru/uv/) for Northern Eurasia. The possible UV effects on human health were considered over Alpine zone. Highly time- and chemically resolved submicron aerosol properties were characterized online for the first time during springtime in Nanjing by using the Aerodyne SP-AMS. Both chemical and size information of black carbon together with other aerosol species were simultaneously determined. An in-depth analysis of the data elucidates the sources and evolution processes of the fine aerosols in the YRD region. Our findings are valuable for air quality remediation in the densely populated regions. We have a comprehensive characterization of the sources, variations and processes of submicron aerosols in Beijing in winter using HR-AMS and GC/MS measurements. The primary sources including traffic, cooking, biomass burning and coal combustion emissions, and secondary components were separated and quantified with PMF. Our results elucidated the important roles of primary emissions, particularly coal combustion, and aqueous-phase processing in the formation of severe air pollution in winter.